The credit derivatives phenomenon since the expansion into the investment-banking sector now firmly finds itself in a worldwide boom. The advancements into quantitative modelling has left it almost impossible for professionals not to directly address this product to run along side the more traditional. The Mathematics of Credit Derivatives DVD / CD-ROM for the first time offers a worldwide audience a unique chance to view the Credit Derivatives arena via Philipp J.Schönbuchers three times fully sold out training event 'The Mathematics of Credit Derivatives' held in Central London during 2003. This DVD will take the viewer from the basics of the credit derivatives through to intermediate and on to more advanced topics. The DVD is not however positioned just for high level quants teams but as the research is predominantly new will benefit academics and practitioners alike at all levels. "I designed the course in such a way that there should be something in it for everybody" says Schönbucher. This book is about day trading. Using the price action itself, rather than any of the usual array of indicators based on it. The US 30-year Treasury Bond Futures is the favoured instrument  the T-Bonds, as they are commonly called. There are good reasons for choosing this instrument to learn to trade  one being that they do not require a detailed knowledge of bonds themselves. The other attractions, whether you are a beginner or a seasoned veteran, are to do with liquidity, range, behaviour, patterns and the price action displayed at the key support and resistance points it encounters. Most days the T-bonds offer trading opportunities which can be taken within a money management environment that can give you an edge for profit  and this book has been designed to show you how to do just that. Fully illustrated with charts taken from a live trading screen and displayed in exactly the way you would have seen them for yourself, on your computer monitor. What you see is not just what happened, in detail, but also clear evidence of just how you could have profited yourself from each trading situation. 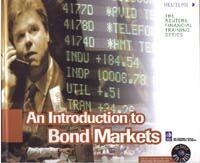 First Steps in Bonds introduces readers to the key issues revolving around the bond markets. It covers in detail each of the main segments of the market - government bonds, corporate bonds, Eurobonds and other types. Supported by illustrative stories, trading scenarios and worked examples, it will lead investors through the concepts whilst always keeping one eye on the reality of the markets. By cutting through all the jargon used by the professionals, the author provides you with the practical guidance and sensible strategies to enable you to trade in bonds with confidence. Making use of many worked examples and practical exercises, the book goes on to explain concepts such as forward pricing, duration analysis, the different approaches to bond yield calculations, zero-coupon and yield curve analysis, swap valuation and option pricing in a clear and accessible way, at each stage illustrating their application using a programmable calculator. Whether you are a trader, fund manager, corporate treasurer, programmer, accountant, risk manager or market student, this book will give you the ability to manipulate and apply the relevant techniques with speed and confidence in your marketplace. 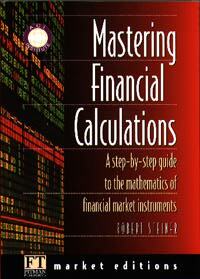 'Mastering Financial Calculations' is written by a market professional for the professional market, delivering definitive, practical techniques direct from the cutting edge. An Introduction to Bond Markets introduces novices to bonds, notes, derivatives and other instruments used in the world's largest markets. Readers will learn how these products are traded and quoted in the financial markets. This comprehensive guide bridges the gap between academic texts that are often too theoretical, and the more technical practitioner's works.